Second Life can be like MMORPG games in many regards, there are “players” who role play exclusively. There are regions that have training and rules for role play, even combat, but many SL players don’t see themselves as players at all. In fact, this is a dividing line for some, they refuse to be anyone other than the person they are in real life. This can even be a contentious issue for some. In the previous article I suggested the perils of being yourself in a virtual world but the truth is, I’ve seen very few people who are truly the same in SL and real life. For the remainder of this article I’ll focus on those who do become someone else by creating a new identity. And I suggest that there are people in SL who create new identities without even realizing it. A group of us girls dressed up for Alice in Wonderland party. These are costumes for a party but some may choose this as their role. 4) “In-game decisions influence play (the story)” – In Ravanel’s article, this is the stage where a player makes decisions that will set the stage for their virtual life. For example, to become a ‘renegade’ or ‘paragon’ but in Second Life you don’t really make a decision like that. You become a renegade or paragon or something in between based on your deeds. You can assert you are a paragon, but unless you behave like one you’ll only look foolish. To twist Lao Tsu a bit, you become what you do. In my early days in SL, I spent time wandering around several regions and communities. For a short while, I became a cadet at Starfleet but I didn’t like what was going on at the time. I did enjoy dancing at nightclubs before going to bed at night, but wasn’t engaged in any way. 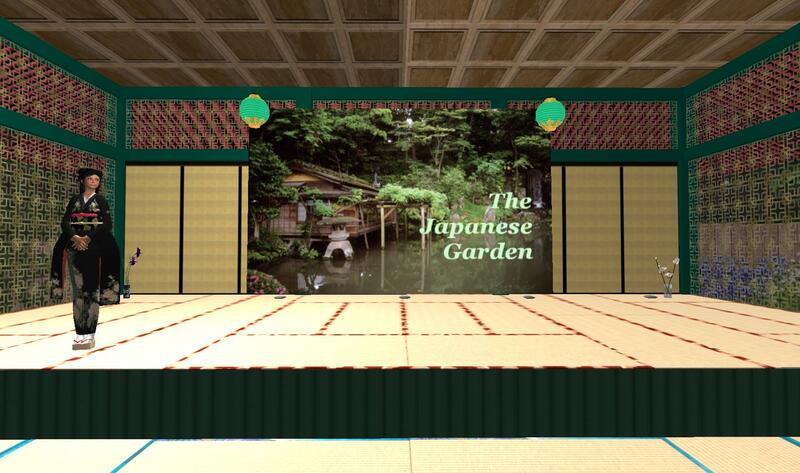 Then I became interested in Zen gardens and then Japanese culture. I created my own Zen gardens. I discovered an okiya (geisha house) and I was fascinated. I became an apprentice geisha and studied the way of the geisha, the willowy way. I performed in geisha shows. I worked in the ochaya (tea house) and learned to serve tea to patrons, with all of the elegance and attention to detail required. I learned the geisha secrets but never once did I was role playing or that I was becoming someone else. during the minari stage of my training. Being an apprentice geisha was not my only role though. During the same period, I was also a hostess in a blues club. I was an explorer and photographer, and I was a blogger. I made many friends and seemed to attract a number of men. And eventually I lost interest in the activities at my okiya and moved on. It wasn’t until I met a man who shared my interest in Japanese culture, a year later, did I understand that I was role playing. The man, a samurai, met me on a visit to my Zen garden. I made a practice of wearing my geisha attire when I was in the garden and greeting visitors in a manner appropriate for a geisha. And this man made it easy for me to be the person I was trying to be. In the year that followed, we always met “in role” and I enjoyed the interaction. We never discussed real life. In time as we became closer, the man told me I was a “natural role player.” He told me he never saw me slip out of character (OOC) even once. I had enjoyed my activity as a geisha in my garden, but this was the first time I realized I had been role playing. and I developed into a romantic relationship. We even lived a role play story, The Samurai & the Geisha. It didn’t take long for me to see people role playing everywhere. Maybe I was like the hammer who saw everything as a nail, but I looked at my friends who DJ’ed in Second Life and were moms in real life. I looked at hostesses, Coast Guard captains, gender swappers, event organizers, club owners and eventually, people presenting themselves as anyone other than the person they are in real life. All these discoveries helped me understand who I had become. 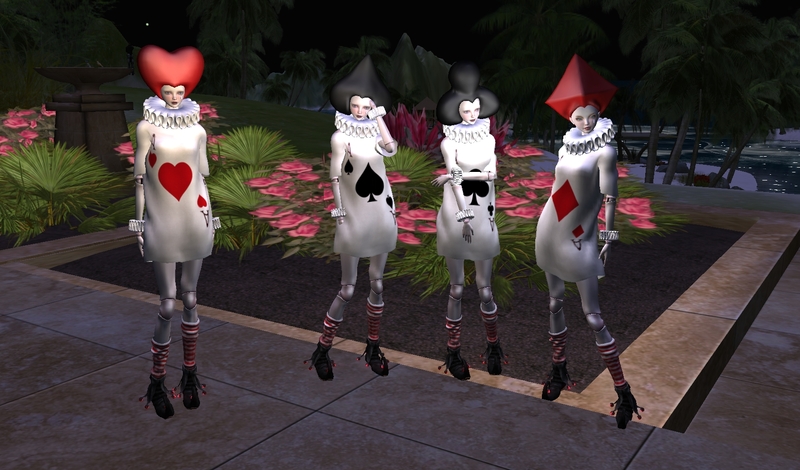 5) “Interaction between players” – In Second Life, interaction between players is all that there is. Unless you join a community that has missions, you will either interact with other players or you will be a very solitary wanderer in a vast and diverse virtual world. There are many players who do not interact, but I don’t think you can claim to be engaged. Second Life has been a series of roles for me. I didn’t plan anything and even now I sense that I’m becoming someone else. This becoming has been a very positive influance in my life. I’ve seen others benefit in this way, even when they don’t realize what has happened to them. In virtual worlds, as long as you don’t offend or hurt others, I believe everyone has the right to be the kind of person they want to be. It’s like the Bronco Billy Show, you can be whatever you want, you just have to become it.